Quack heard ’round the city! 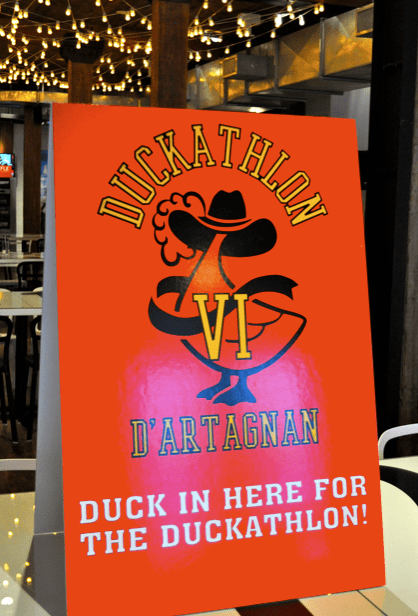 D’Artagnan kicked-off May with a gleeful, resonant QUACK as we celebrated our sixth ever Duckathlon! 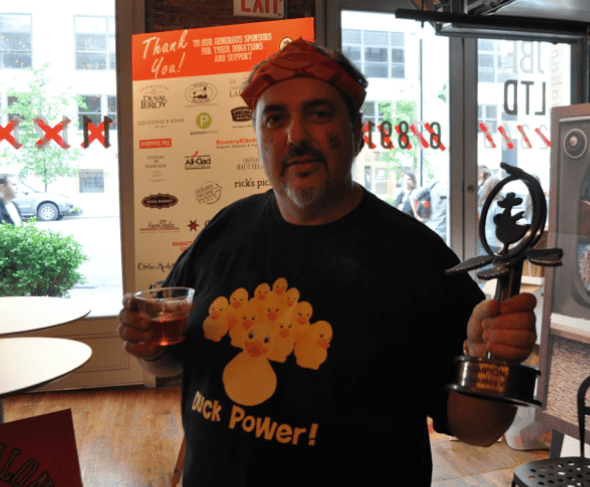 The Duckathlon is our annual, industry-only event where Teams of Chefs from some of the area’s best restaurants compete for prizes, trophies and gastronomical glory in an obstacle course of culinary challenges. 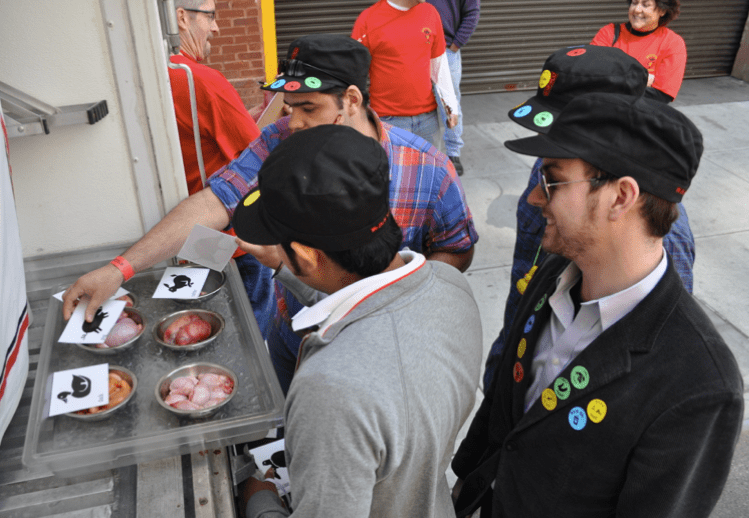 For one day we completely take over New York City’s Meatpacking District and with the help of area shops, restaurants and bars, plus our amazing sponsors, we let chefs run wild. Team Beacon demonstrates their testicular aptitude in our Balls to the Wall challenge. Why you ask? Because it’s ducking fun! And it’s a great way for our chef friends to take a well-deserved afternoon away from the kitchen and blow off some steam. 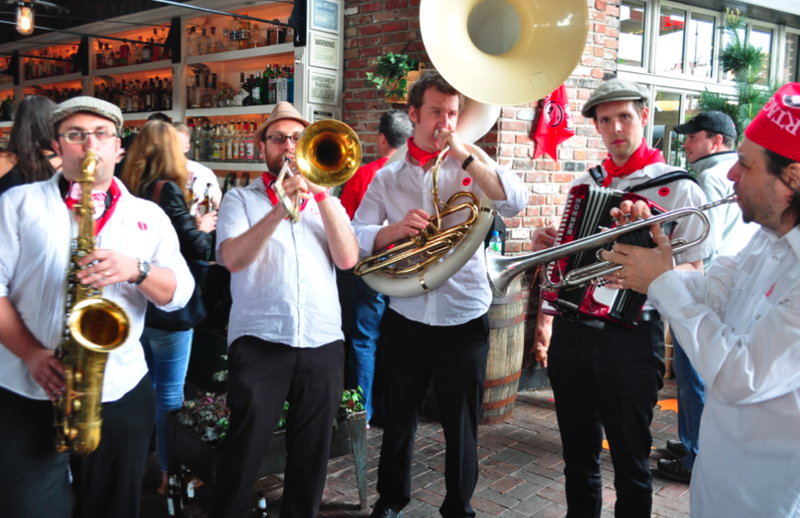 Our duckathlon band got the crowd dancing at The Standard Hotel's Biergarten. 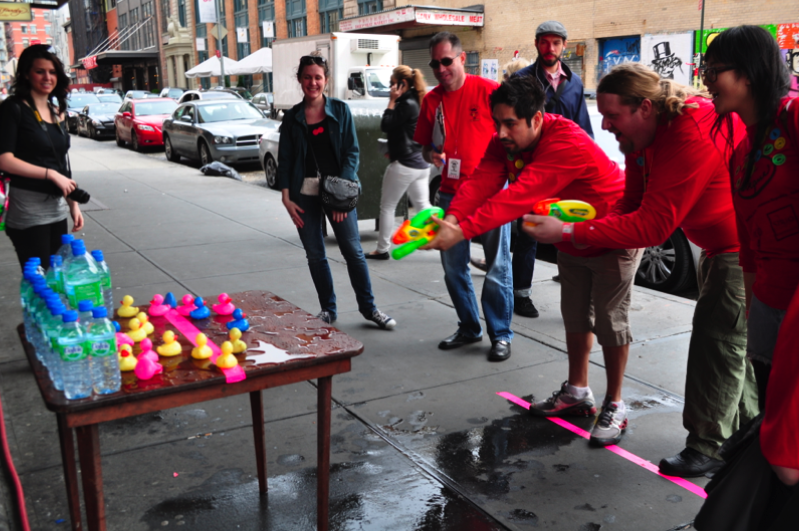 Team Le Cirque goes wet & wild for the Ducky Get Your Gun challenge sponsored by Volvic Water. Once again, Team Annisa took home the gold trophy. Team Cercle Rouge was a close second and Le Bernardin were third place champs, rounding out the top tier winners. Every team one at least one challenge and fun was had by all. 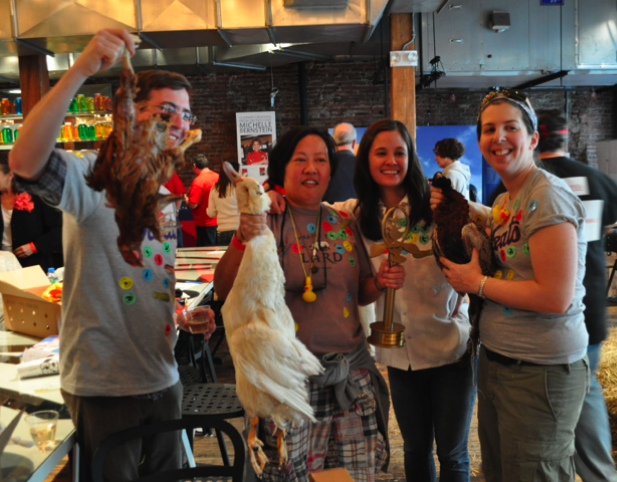 Team Annisa stands triumphant with birds and trophy in hand! Chef Pierre Landet of Cercle Rouge shows off his silver trophy. Here are some more highlights from the day! You can check out our full collection of photos on our official Facebook page and stay tuned for our 2011 Duckathlon video!